Standard health insurance only goes so far in providing the level of care you need in the event of serious and potentially debilitating injuries or illnesses. While long-term care insurance can act as a supplement, these types of policies do little good if the insurer denies your claim. At Kantor & Kantor, LLP, we are dedicated to defending your rights. With decades worth of combined experience on our side, our San Diego long-term care lawyers provide the professional legal representation needed to help you get your claim approved. The American Association of Retired People (AARP) advises that long-term care insurance coverage is often expensive, but it is also one of the few options for ensuring future needs are provided for. In addition to covering the cost of nursing home, assisted living, or hospice care, it provides rehabilitative services and at home help in meeting daily needs. Unfortunately, as with any insurance policy, filing a claim and getting it approved is often challenging. At Kantor & Kantor, LLP, we provide client-focused service you can count on in this situation. As experienced San Diego long-term care lawyers, we negotiate with insurers on your behalf, representing your interests in the event of denials or disputes. Long-term care insurance may be purchased privately, through an independent insurer, or it may be offered through your employer. 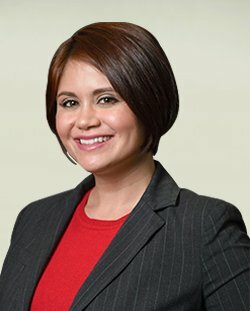 The manner in which you obtained your policy dictates the procedures that must be followed in the event of a denied or disputed claim. If purchased through a private insurer, you have the option of bringing a civil lawsuit against the company. If obtained through your employer, the Employee Retirement Income Security Act of 1974 (ERISA) may apply to your case. This means that you would need to file an appeal with the insurance company. At Kantor & Kantor, we have the experience and legal expertise needed to guide you through this process while protecting your rights in a claim. At Kantor & Kantor, LLP, we act as a strong legal advocate on your behalf so that you can get the benefits to which you are entitled. Request a free consultation to discuss how we can help you and contact our San Diego long-term care lawyer today.